02/11/12 -- Soycomplex: Nov 12 Soybeans closed at USD15.27, down 31 1/2 cents; Jan 13 Soybeans closed at USD15.26 3/4, down 33 1/4 cents; Dec 12 Soybean Meal closed at USD475.90, down USD8.40; Dec 12 Soybean Oil closed at 49.26, down 117 points. For the week as a whole Nov 12 beans were down 34 1/4 cents, with Dec 12 meal falling USD7.50 and Dec 12 oil losing 170 points. Weekly export sales for soybeans were strong at 741,200 MT for 2012/13 plus a further 19,400 MT for 2013/14 versus expectations for sales of 500-700 TMT. Soybean shipments of 1.7 MMT this week were also very strong, the highest in fact since Nov 2010. That means that the US now has 75% of the USDA's 2012/13 full season projection of 34.5 MMT already committed just a couple of months into the marketing year. Informa Economics estimated this season's US soybean crop at 2.925 billion bushels, with yields at 38.6 bu/acre. That's a bit higher than last month's 2.86 billion and 37.8 bpa from the USDA, although it is noted that Informa are usually on the high side, in fact they've been above the USDA in nine out of the last ten years heading into the November WASDE report. Rains continue to hamper plantings in Argentina where currently only 4% of the soybean crop is in the ground versus 9% normally. Corn planting is also well behind at 40% versus 57% normally, for now the trade is thinking that this might mean some corn acres getting shifted into beans. 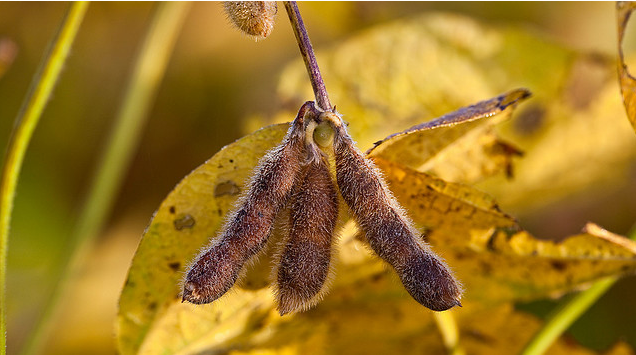 Funds were said to have sold around 9,000 soybean contracts on the day, continuing with the recent liquidation theme ahead of the weekend and next week's Presidential elections. Corn: Dec 12 Corn closed at USD7.39 1/2, down 11 1/2 cents; Mar 13 Corn closed at USD7.42 1/2, down 11 cents. For the week Dec 12 corn was 2 1/2 cents lower, with Mar 13 corn down 1 /12 cents. Funds were estimated as net sellers of 15,000 corn contracts on the day. Weekly export sales were another modest affair at 167,900 MT versus expectations of 110-400 TMT. Corn sales need to average 426 TMT/week to hit the USDA's projections for the full season, and it's been 28 weeks since they've managed to hit that target. US plant closures mean that weekly ethanol production there is running 91,000 barrels/day down on year ago levels. That also needs to change to meet the current USDA forecast of demand for 4.5 billion bushels from the ethanol sector in 2012/13. Informa pegged the US corn crop at 10.738 billion bushels with yields at 122.4 bpa, only modestly better than the USDA's 10.7 billion and 122 bpa estimate. The Buenos Aires Cereals Exchange say that Argentine corn plantings only advanced from 37% complete to 40% done this past week, a very poor weekly performance for considering that they are supposed to be in the middle of the planting season. Undeterred, the USDA attaché in Buenos Aires estimated the 2012/13 corn crop at a record 28.0 MMT. Maizar, the Argentine Corn Growers Association peg the corn crop this season a bit lower at 25.28 MMT, although still a record. Wheat: Dec 12 CBOT Wheat closed at USD8.64 1/2, down 4 cents; Dec 12 KCBT Wheat closed at USD9.08 3/4, up 1/4 cent; Dec 12 MGEX Wheat closed at USD9.40 1/4, down 3 cents. On the week Chicago wheat was 3/4 cent higher, with Kansas up a half and Minneapolis up a quarter cent. Export sales of 362,900 MT were towards the low end of expectations. As with corn, weekly sales are well short of the required level to meet USDA targets, although demand for US wheat in the second half of the season maybe has more of a chance of correcting that imbalance than it does for US corn. The Russian Ministry said that their grain harvest is almost over at 98.3% complete, producing 72.4 MMT in bunker weight. Output is well down in most areas, particularly the Urals and Siberia where the crop is seen 38% lower at 9.8 MMT, from 15.8 MMT in both cases. Ukraine exported a record 2.9 MMT of grains in October, including 1.45 MMT of wheat and 1.2 MMT of corn. Year-to-date totals are 8.5 MMT, of which 4.1 MMT is wheat, 3.0 MMT corn and 1.6 MMT barley. Winter grain plantings there are now complete. Crop conditions in Ukraine are generally looking much better than this time a year ago when "historic drought unfolded during the fall planting season, drier than the previous 10 years," say Martell Crop Projections. 02/11/12 -- Nov 12 London wheat closed GBP2.00/tonne higher at GBP212.00/tonne, with Nov 12 Paris wheat EUR1.50/tonne firmer at EUR269.25/tonne. For the week overall that places Nov 12 London wheat GBP2.50/tonne higher and Nov 12 Paris wheat up EUR5.00/tonne. The main drivers in the market at the moment are the perception that Russia and Ukraine are, or will soon be, out of the wheat export market and we are less that halfway through the second quarter of the marketing year. That is likely to push Europe to centre stage on the world wheat export market soon to be followed by America. Supplies, particularly in Europe, could quickly dry up in Q3 of 2012/13 - EU-27 exports are already ahead of last season's pace and that has been achieved whilst competing with Black Sea supplies. Brussels issued 405 TMT of soft wheat export licences this past week, taking the year-to-date total to 5.3 MMT, some 6% up on this time a year ago. 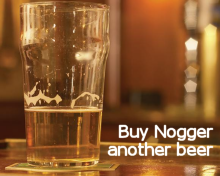 Meanwhile, southern hemisphere wheat prospects aren't great. Argentina has been plagued by excessive wetness and Australia by drought. The Buenos Aires Grain Exchange estimate wheat production in Argentina this year, where the crop is currently 7% harvested, at only 10.12 MMT versus 13.2 MMT a year ago. A Bloomberg survey this week estimated reduced Australian wheat production this year will see exports at only 17 MMT in 2012/13 (Oct/Sep) - a reduction of 31% on last season. 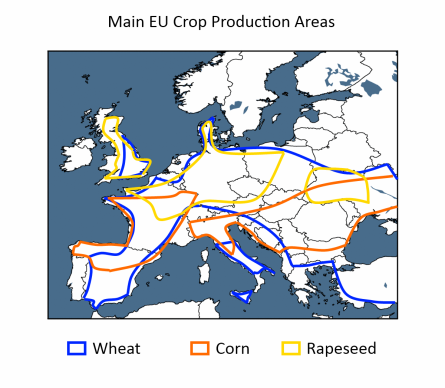 On top of those worries, whilst it's early days yet, we already have doubts about the health of EU and US wheat crops for the 2013 harvest ahead of winter dormancy. FranceAgriMer say that only 64% of the anticipated French winter wheat area has been sown so far, compared to 88% normally at this time, as the country has been battered by heavy rain and significant early snowfalls. Incidentally, also a concern here is that these same weather conditions mean that 31% of the French 2012 corn crop is still standing in the field compared to just 4% normally at this time. 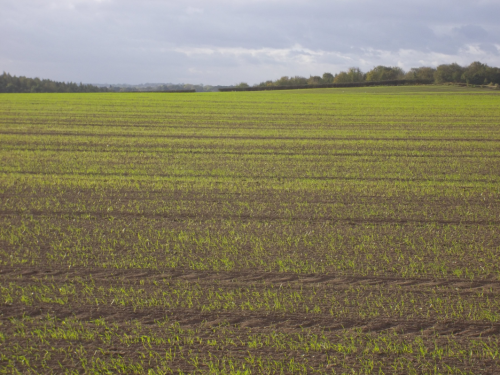 The UK has suffered similar disruptions to field work, whilst in the US in many cases winter wheat has been planted into dry soils and received only traces of moisture since. The USDA reported Monday night that crop conditions in it's first report of the new season were the worst since they began issuing weekly bulletins in 1985. The pound jumped to 1.25 against the euro for the first time in a month on reports that a Greek court had ruled the government's austerity measures to be "unconstitutional" casting doubt over their ability to impose the required cut-backs required through. 01/11/12 -- Soycomplex: Nov 12 Soybeans closed at USD15.58 1/2, up 11 1/2 cents; Jan 13 Soybeans closed at USD15.60, up 11 1/4 cents; Dec 12 Soybean Meal closed at USD484.3, up USD2.10, Dec 12 Soybean Oil closed at 50.43, up 27 points. Funds were said to have been net buyers of around 4,000 soybean contracts on the day. FCStone increased their US soybean production estimate to 2.959 billion bushels, raising yields to 39.1 bu/acre. Last month's USDA report gave us a crop of 2.86 billion bushels, with yields at 37.8 bu/acre. Tomorrow's delayed weekly export sales numbers are expected to be around 500-700 TMT for soybeans. The US has already sold nearly 73% of the USDA's projected 2012/13 marketing year total. "While drought is the main concern in Central Brazil, Argentina farms are too wet to plant. Rainfall has been relentless, accumulating to 4-6 inches over the past 2 weeks, and 4-6 times normal in the grain belt," say Martell Crop Projections. Argentine soybean plantings are said to be only 4% complete versus 13% normally at this time. Corn: Dec 12 Corn closed at USD7.51, down 4 3/4 cents; Mar 13 Corn closed at USD7.53 1/2, down 3 1/2 cents. Fund selling on corn was estimated at a net 7,000 contracts on the day. US ethanol production increased by around 24,000 barrels/day to 825,000 bpd last week, according to data from the Energy Dept. Brazil shipped a record 3.66 MMT of corn in October, the third month om a row of record exports and well over double last year's level of 1.52 MMT. FCStone pegged the US corn crop at 10.881 billion bushels with yields at 124 bu/acre. That's higher than last month and the USDA's 10.7 billion and 122 bpa estimates. The USDA will issue revised numbers next Friday. Informa will be out with theirs tomorrow. Estimates for tomorrow's weekly export sales for corn are a modest 110-400 TMT. Weekly sales of around 430 TMT are needed to achieve the USDA's projected export target of 31 MMT this season. "Argentina producers are striving to get corn planted before focusing on soybeans. The corn seeding usually begins in mid September, finishing up by November 10-15. Only 5% of corn was sown last week, says Dr Michael Cordonnier, pushing total plantings to just 38% complete," say Martell Crop Projections. Wheat: Dec 12 CBOT Wheat closed at USD8.68 1/2, up 4 cents; Dec 12 KCBT Wheat closed at USD9.08 1/2, up 4 1/2 cents; Dec 12 MGEX Wheat closed at USD9.43 1/4, up 1 1/4 cents. Funds were said to have been net buyers of around 2,000 Chicago wheat contracts on the day. The same rains that are plaguing Argentine corn and soybean plantings are also stalling the wheat harvest there, and leading to potential yield and quality losses. Confusion remains over whether Ukraine are to introduce a formal wheat export ban or not. There were no Ukraine offers in yesterday's Egyptian tender. Two cargoes of Russian wheat were bought, as well as two from France and one from Romania, despite further downgrades to wheat production there from SovEcon today. Looking ahead "Key winter wheat growing areas in south Russia experienced a very dry October. Since September 1 only 21 millimetres of rainfall has accumulated on average against 57 mm normally in the 4 major winter wheat districts that produce 61% of the harvest," say Martell Crop Projections. Trade estimates for tomorrow's weekly export sales report are 300-600 TMT. 01/11/12 -- EU wheat closed mixed, with Nov 12 London wheat pressing on to a fresh contract high of GBP213.00/tonne at one stage, before closing GBP0.50/tonne lower at GBP210.00/tonne. New crop Nov 13 closed GBP2.50/tonne firmer at a contract high GBP188.50/tonne. Nov 12 Paris wheat ended EUR2.50/tonne firmer at EUR267.75/tonne - towards the upper end of the recent trading range and also close to the lifetime contract high. SovEcon cut their estimate on Russian wheat production to 37.5 MMT, down 33% on 56.2 MMT a year ago. They also reduced their forecast for Russian grain output this year to 69 MMT- down almost 28% from 95.4 MMT in 2011. Russian Ministry data shows that they have exported 10.3 MMT of grains so far this year, including 8.2 MMT of wheat, 1.4 MMT of barley and 514 TMT of corn. The Ukraine Ministry said that they have exported 4.125 MMT of wheat so far this season, leaving around 1.4 MMT to go before they reach their suggested ceiling of 5.5 MMT. It would seem that it is only a matter of time before both Russia and Ukraine are out of the wheat export market. With two thirds of the 2012/13 marketing year remaining then EU-27 sales should pick up markedly from here on in. Buenos Aires-based agricultural consultant Manuel Alvarado Ledesma says that corn production there could fall to 22.4 MMT this year. "Given all the hail, rain, waterlogging and flooding we've seen, some corn fields will be lost. Others can still be replanted, but with uncertain results," he said. The USDA currently have the Argentine corn harvest down at 28 MMT in 2012/13. Meanwhile the US winter wheat crop "has got off to its worst start since records began, undermined by poor conditions which have forced some farmers to reseed," report Agrimoney.com. 31/10/12 -- Soycomplex: Beans closed around 10-13 cents higher, with meal up around USD5-7 and oil generally 7-10 points higher. 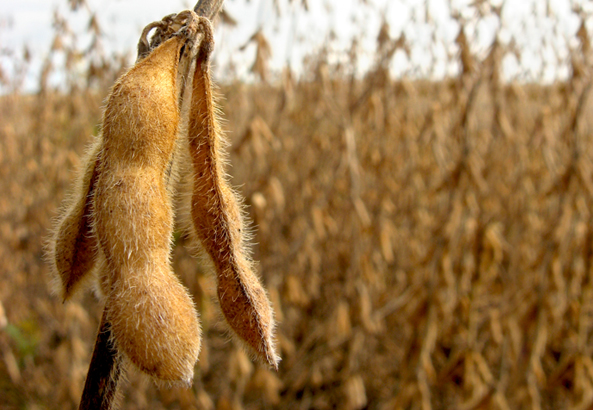 Funds were said to have been net buyers of around 6,000 soybean contracts on the day. The USDA reported the US soybean harvest at 87% complete. There are concerns that some crops may have been damaged/lost to the remains of Hurricane Sandy. The Rosario Grains Exchange estimated Argentina’s 2012/13 soybean area at 19.5 million hectares, up 3.7% from a year ago. FCStone are out tomorrow with their latest US crop production estimates. Last month they gave us a bean yield of 36.7 bu/acre and a crop of 2.739 billion bushels. Corn: Corn closed around 10-15 cents firmer. The USDA reported the US corn harvest at 91% complete. The rain and snow associated with Hurricane Sandy will make getting the last 9% in a challenge. Fund buying was estimated at 10,000 contracts on the day. The Rosario Grains Exchange estimated Argentina’s 2012/13 corn area at 4.0 million hectares, unchanged from their previous estimate, but 0.4 million down on a year ago. Many alalysts are already questioning Argentina's farmers ability to get 4 million hectares planted under the current very wet conditions. FCStone are out with their latest US numbers tomorrow, last month's corn figures were a yield of 121.4 bu/acre and a crop 10.607 billion bushels. Thursday's normal weekly export sales report is delayed until Friday. Wheat: Chicago wheat ended 5-8 cents higher, with Kansas up 2-5 cents and Minneapolis 5-7 cents firmer. The Rosario Grains Exchange estimated Argentina’s 2012/13 wheat output at 10.0 MMT versus 13.0 MMT a year ago and the USDA's current 11.5 MMT forecast. 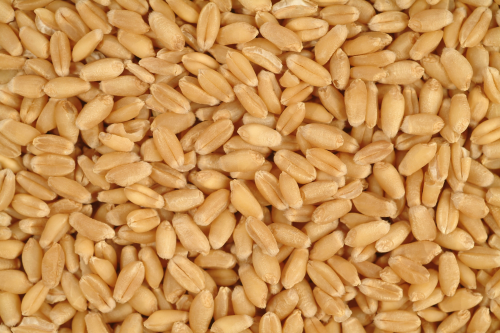 Tunisia bought 125 TMT of optional origin wheat for Dec/Jan shipment. Egypt bought 300 TMT of Russian, French and Romanian wheat for last half December shipment. The market will at least be cheered by the news that US wheat was actually the cheapest on offer on a FOB basis and only missed out due to more expensive freight. China sold around half of the 769,044 MT of wheat offered at a government auction. 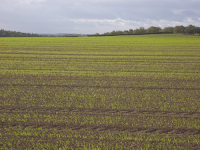 The USDA said that 88% of the US winter wheat crop is now planted and 63% of that is emerged. The first crop ratings of the season went 40% good/excellent and 45% fair. 31/10/12 -- EU grains closed higher with Nov 12 London wheat up GBP1.25/tonne to GBP210.50/tonne whilst Nov 12 Paris wheat was EUR3.00/tonne higer at EUR265.25/tonne. Wheat extended its recent winning run despite the Ukraine Deputy Ag Minister appearing to contradict the recent announcement of an impending wheat export ban. "No wheat export ban for November 15 has been drafted," he was quoted as saying. The Black Sea nation has exported 8.2 MMT of grains so far this season, including 4 MMT of wheat, and is now said to have raised the informal limit on wheat exports from 5 MMT to 5.5 MMT. The last of the Ukraine corn harvest is grinding on, hampered by persistent rains in the west of the country, although these will be beneficial for winter crop establishment ahead of dormancy. The Ministry say that 90% of emerged crops are in good to satisfactory condition. Egypt booked five cargoes of wheat in a tender, two each from France and Russia and one from Romania. There was no room for US wheat, although interestingly it was the cheapest on offer and only missed out on more expensive freight costs. The Rosario Cereals Exchange have declared an "orange alert" in Argentina’s Pampas region as incessant rains cause flooding, delaying corn and soybean plantings and damaging winter wheat potential and quality. In Europe "Showers increased across southern and eastern areas recently, which helped to ease dryness considerably. A very dry fall stressed rapeseed and wheat establishment in Former Yugoslavia, Romania, and Bulgaria, but the recent upturn in showers there finally improved establishment of those crops," said MDA CropCast. "However, the return of active showers to western France and southern Spain will increase wetness concerns and disease threats there once again," they added. 30/10/12 -- Soycomplex: Beans closed around 5-6 cents higher, with meal up USD2.20-3.50 and oil down 5-8 points. Funds were said to have been net buyers of around 4,000 soybean contracts on a day disrupted by Hurricane Sandy. The USDA crop progress report, originally scheduled for Monday night won't now emerge until tomorrow. China has imported 44.3 MMT of soybeans in the first three quarters of 2012, and will end the calendar year importing a record 57.5 MMT, according to the Ag Ministry there, a 9.3% increase on 2011. This year's Chinese soybean crop may fall as low as 10 MMT, according to some reports, versus the current USDA estimate of 12.6 MMT. That may see soybean imports in 2013 rise to an unprecedented 65 MMT. October's imports were higher than originally forecast at 4.22 MMT, say the Commerce Ministry due to low international prices. Safras place Brazil's soybean crop at 28% planted, up from 12% last week and 24% normally. Corn: CBOT corn closed around 4-5 cents higher as fund bought an estimated 5,000 corn contracts on the day. Informa estimated Brazilian corn plantings this year at 16 million hectares, a 5% increase on last season. They also forecast Ukraine's corn crop at 18.8 MMT, 2.2 MMT less than the USDA currently project. Egypt bought 180 TMT of what is thought to be mostly Argentine corn, with South American corn still at a hefty discount to US material. Reports suggest that a Mississippi ethanol plant is to idle due to low margins, the latest in a series of closures. Continued wet weather in Argentina might see their intended corn acreage cut sharply, according to many private estimates. The Ag Ministry in Argentina place the corn crop at only 40% planted versus 55% normally. The trade expects the US corn harvest to be around 93% complete when the USDA release their delayed crop progress report tomorrow. That should keep the effects of Hurricane Sandy to a minimum. Wheat: CBOT wheat close a cent or so lower in old crop months and around 6 cents firmer on new crop. Tunisia are tendering for 100,000 MT of optional origin wheat, and Egypt are also back in the market looking for wheat for Dec/Jan shipment. US origin is thought unlikely to feature in either. Germany sold 200 TMT of wheat to Iran. Rain is seen cutting Brazil's wheat crop which is currently in the middle of being harvested. Tomorrow's delayed USDA report will also feature the first US winter wheat crop ratings of the season. India are tendering to sell 55 TMT of wheat for Nov/Dec shipment. FCStone are out on Thursday with their November crop production forecasts and Informa are out on Friday ahead of next week's USDA numbers. The latter have already cut their Australian wheat production estimate from 23.5 MMT to 21.2 MMT, citing drought. 30/10/12 -- Nov 12 London wheat closed GBP1.00/tonne higher at GBP209.25/tonne, with Nov 12 Paris wheat EUR0.75/tonne lower at EUR262.25/tonne. Wheat crops around the world keep shrinking. Informa have cut their estimate for Australia's output this year to 21.2 MMT from 23.5 MMT previously, which is 1.8 MMT less that the USDA and a decline of 28% on last year. Reuters are reporting that heavy rain in Southern Brazil's Rio Grande do Sul state could cause up to a third of the wheat crop there to be lost. The IGC say that Ukraine's 2012 wheat crop will only total 13.5 MMT this year, a drop of 39% on 2011. Informa meanwhile pegged the corn crop there at 18.8 MMT, versus 22.8 MMT in 2011 and the USDA's current estimate of 21 MMT. Russia's grain harvest is drawing to a close at 98% complete, producing 72.2 MMT so far, versus a final 2011 total of 95.4 MMT. Wheat accounts for 39.6 MMT of that against 56.2 MMT in 2011. The barley harvest has produced 14.5 MMT against 16.9 MMT lasy year, whilst the corn crop currently stands at 5.6 MMT off 70% of the planted area. SovEcon say that Russia will export only 1.2-1.5 MMT of wheat in November, versus 2.5 MMT in October. Germany sold 200 TMT of wheat to Iran. French wheat exports are picking up as the Black Sea runs dry. Egypt bought 180 TMT of mostly Argentine corn in a tender. Prospects for 2013 do look brighter, but they are unfortunately still a long way away. 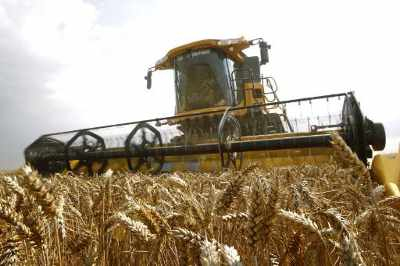 Ukraine will plant 6.6 million hectares of winter wheat, against 6.3 million last year. Russia meanwhile will increase it's area from 16.0 million hectares to 16.8 million, according to its Ag Ministry. Ukraine's Ministry says that 82% of the nation's winter grains have emerged, and that 54% of those are in good condition, and only 10% in weak/thinned condition versus 16% a year ago.